Wrap skirt is the ever green version of skirt and had always been the favorite. It is also known as the magic skirt. 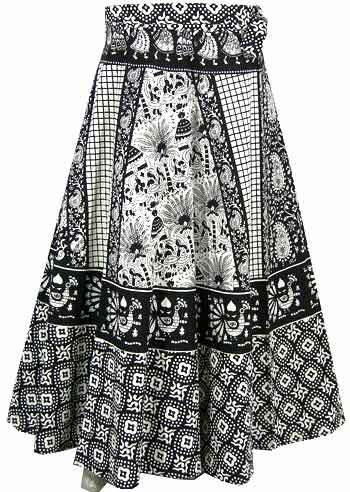 Fashion Designers did not have much to do with the wrap skirt because it is the simplest apparel a woman could ever imagine and she can do wonders with it. The control is in the hands of the woman wearing it and not to the designer. 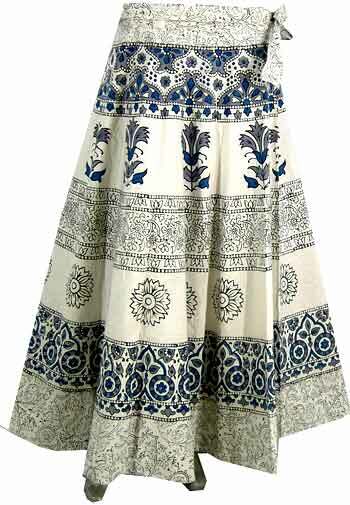 Have you ever thought of having a dress Skirt or Wrap Skirt which is exclusive and only 1 Piece manufactured? That means you are the exclusive owner of that particular piece. Neighbors envy owner's Pride. It can turn many heads. Some call them Magic Skirts. and each piece is exclusive. No piece can be repeated again. 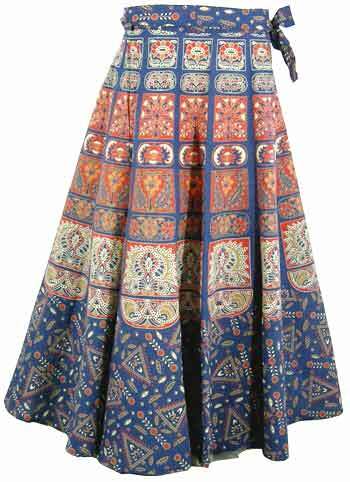 The demand for wrap skirt is getting more and more in USA & Australia as it is getting popular day by day because of its low price and exclusivity.It is mostly made of silk. It has 2 layers. 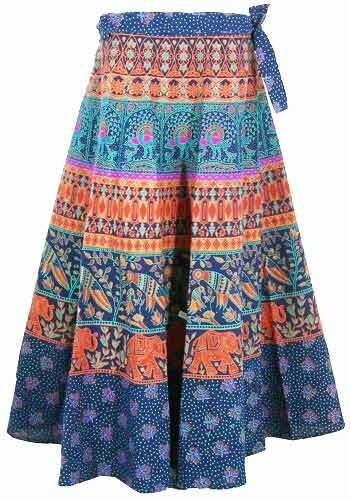 These Vintage Wrap Skirts are reversible. That means you can wear them on both sides. Some people call them Dress Skirts. People in the West like to call it Wrap Dress. It is ideal as Beachwear and thus some people call it Beach Wrap. Yes, the wrap skirt is perfect for picnics. a beach party . 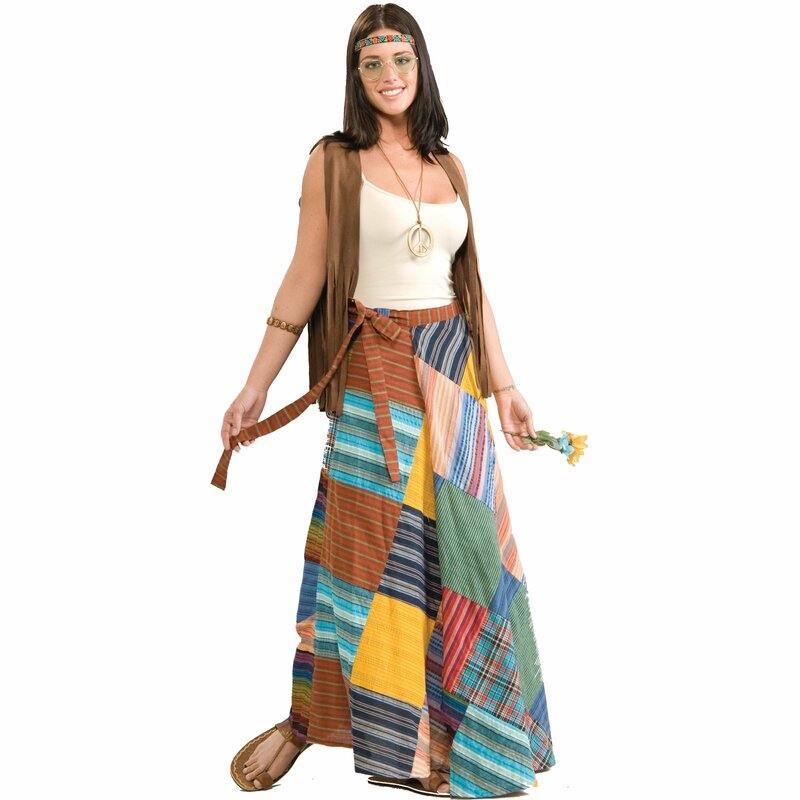 The advantage of this Wrap Skirt is that it is universal and suits all age group. 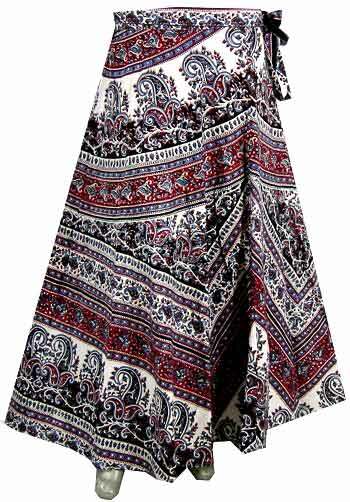 This Wrap skirts or dress skirts are very comfortable as maternity wear. You don't have to worry about the size. It is Free Size up to waist size 40 inches. are ideal as beach wear for beach parties. You can also wear it as a dress for any occasion. As the name suggests, wrap skirt wraps around and ties at the waist. 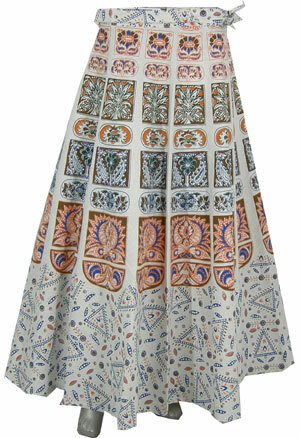 These are free-flowing skirts that come in variable lengths and styles. These skirts are highly fashionable and wrap around with ties and two openings at the hip to fit different waist sizes. It would be a very nice gift for someone you love or someone you want to surprise. Oh, those are great, THANK YOU.